Fairy-tale master Gail Carson, the bestselling author of Ella Enchanted, guides writers of all ages on how to develop their craft, with practical advice and heartfelt encouragement. 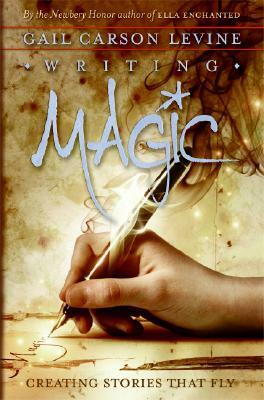 In Writing Magic, Newbery Honor author Gail Carson Levine shares her tricks of the trade. She shows how you can get terrific ideas for stories, invent great beginnings and endings, write sparkling dialogue, develop memorable characters—and much, much more. She advises you about what to do when you feel stuck—and how to use helpful criticism. Best of all, she offers writing exercises that will set your imagination on fire.